The Proven Ones are the new blues super group. Super Group? Now that is definitely an understatement. This cast of music greatness has no less than 40 individual Blues Music Award nominations between them (not to mention another 18 as members of The Mannish Boys) and are some of the most established artists of their generation. 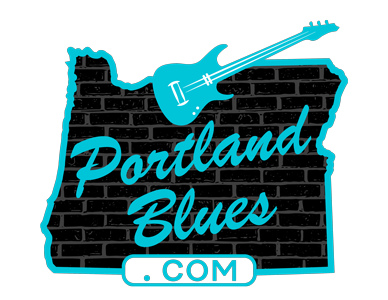 The band consists of guitarist Kid Ramos, drummer Jimi Bott, keyboard ace Anthony Geraci, bassist Willie J Campbell, and vocalist Brian Templeton. You just know looking at that line-up that anything they work together on will be phenomenal. And their debut disc Wild Again is every bit of that. These guys have played together often, but in the past they stated that the music they played at their shows was dictated to them in advance, right down to who solo’d when. Now they are their own bosses and doing things exactly as they want, which in turn means more enjoyment for themselves and that is in effect more vibrant for their audience. Everybody has fun! Recorded at Jimi Bott’s Roseleaf Recording Studio in Portland, the collection of songs are favorites of the band that include pieces written by the likes of Clarence Carter, Peter Green, Dave Bartholomew, The Beatles and a terrific extended 11-&-1/2-minute cover of Fenton Robinson’s classic “Loan Me A Dime.” Originals by Geraci (“Why Baby Why”) and Jimi Bott (“Cheap Thrills”) help make up the remaining selections alongside group collaborations that like everything else included just right at the listener. Horn arrangements for the disc were put together by Joe McCarthy who plays trumpet and is joined by some of Portland’s elite in The Indigo Horns that also includes Renato Caranto, Robert Crowell, and Chris Mercer on saxophones. Each musician on the recording takes things to an extra level, with plenty of improvisation and soloing in abundance. Super groups are often put together in various genres, but when they click right it is a dream to hear. 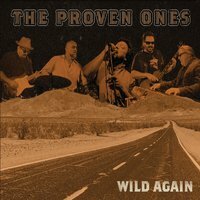 Wild Again from The Proven ones is one that clicks from start to finish. Yes, these guys have proven themselves time and time again, and don’t expect anything less from them now or in the future. This album is truly a treat.